Would you love some focus, clarity and confidence to transform your business? Do you want to get some structure and successful strategies into your business to take it to the next level? Maybe you’re feeling overwhelmed or wondering what to do next for the best? Allow me to help you get focused, get clear, and get moving in the right direction. With my 25 yrs experience of growing six and seven-figure businesses, I have helped many business owners just like you to turn their businesses around. Within a short space of time, they are doubling or even tripling their income. What kind of impact would results like that have on your business and your life? “Since seeing Jo for regular business coaching, my income has increased consistently each quarter and my annual revenue has increased by 30%. I recommend Jo James to any woman in business looking for clarity and strategies to achieve a six figure business” Laura Thomson, Trainer. I love working with Solopreneurs and small business owners who want to do more with their business and make some positive changes for growth. They are trainers, doctors, consultants, coaches and creatives, but, for many different reasons, when I first meet them they are often feeling overwhelmed, stressed or they just aren’t making the money they deserve to be. Let’s have a chat about your situation and see what service suits you best. Do you need a Power Hour to kick start your day, prioritise your workload, get clear on what to do next? Within 60 minutes, you gain insights, I can give you solutions to your problems and you can get moving again with a spring in your step! ” In under an hour on my Skype Power Hour, I got clear about three things that had been bugging me. Jo helped me discard loads of stuff that wasn’t necessary and I’m clearer, lighter and excited and know exactly what to do next. She’s brilliant.” Sharon Simpson, Photographer, Interior Designer. How do you want to feel while you’re working towards your goals? What do you want to see happen in your business? My 6-Figure Business Coaching Program will give you the tools and proven strategies for increased revenue, more clients AND will give you a big boost to your confidence and self-belief. Designed to empower you and to grow your business, it is a favourite among my current clients seeking success, structure, and support. “Thank YOU for all 6 amazing sessions. It’s been inspirational and practical at the same time. More than anything else you’ve restored my sense of self-belief. It’s hard to put a price tag on that but we both know it’s worth … everything. 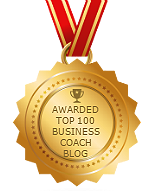 You are a very gifted coach Jo and your energy and commitment are world class!” Margaret M. Communications Expert. It’s lonely working by yourself isn’t it, or if you run a team, who are you confiding in, getting support and inspiration from, talking to about your business? Keeping focused and consistently taking action is the key to your success. Would you like to be on this journey and work with me and a select group of like-minded business owners? Working in my Mastermind Group will keep you on track throughout the year as you build your brilliant business. I will keep you focused on your sales activity, motivated to implement new marketing strategies and hold you accountable, to keep focused on taking action, to get results. Working together, the group will give you support and the opportunity to bounce off your ideas and learn from your peers. Discover proven strategies to enhance your business to take it to the next level. Enjoy your journey together and let’s transform your business now. Email me today or call me on +44 (0) 7968 016585 to talk about your business and see how I can help you now. Are you brilliant at what you do, networking, on social media but not working with enough clients to give you a good income? Are you missing out on new business opportunities because you’re shying away from making that phone call, or not following up because you think you’re interrupting people? Would you like to feel more confident about how to sell effectively without feeling like you’re being pushy or needy? You need my new online course to help you Get Sales Savvy. Work through at your own pace and join me for Live Q&A calls to get my expert advice and guidance and see your sales skills go from ok to brilliant! This is my super effective online course to help you feel more confident with the whole sales process, so it’s easier for you to stay in business and grow your business. Sales is THE vital skill to learn and integrate into your business. Why? Without sales, you don’t have customers, you don’t have revenue coming in regularly and consistently, and you won’t stay in business like that. Sales is definitely something you can learn. I have been training sales for 15 years and love it when I see people grow in confidence as they see the results from putting into practise my 7 savvy steps and learn THE best question to ask, to close for more business. “I won 5 new clients in 28 days after Jo’s sales training” said Susan Moore, a VA.
What would winning 5 new clients do for your business this month? Email me today or call me on +44 (0)7968 016585 to talk about the course or have a look here for more information. Whatever your situation, as everyone is different, I welcome the opportunity to talk to you about your current challenges and see how I can help you turn them around for your future success. Contact me today and I’ll point you in the right direction.